1 Preheat the oven to 200°C | 400F | gas 6. 2 Whisk together the olive oil, truffle oil, garlic, parsley and chilli pepper in a small mixing bowl until combined. 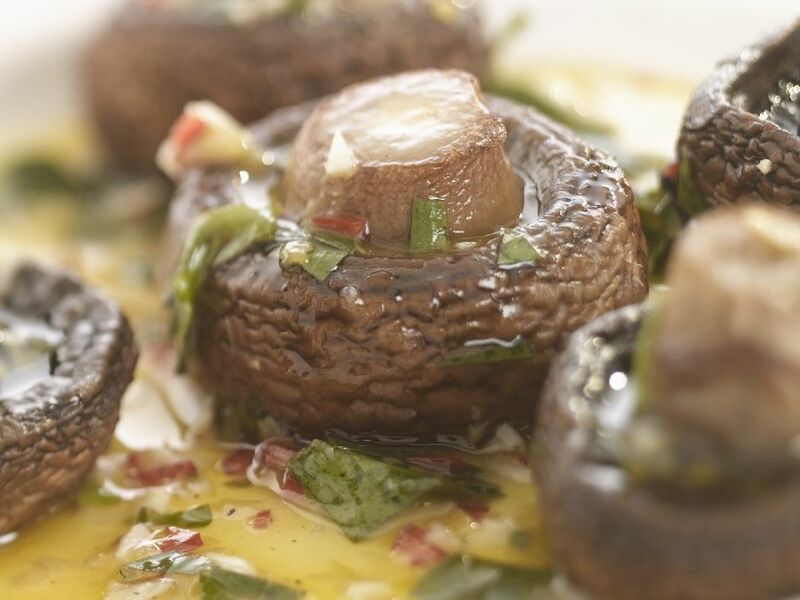 3 Arrange the mushrooms with the stems facing up in a roasting tray. Pour over half of the oil marinade and season them well. Bake for 12-15 minutes until soft. 4 Arrange in serving bowls and pour over the remaining marinade. Serve immediately.